Event: Göteborg Open sea Race. (GOR). Date: August 9 – 10, 2019. Organizer: Göteborg Quinnliga Segelsällskap (GQSS). 0.5 – 04 January 2018 will apply. boats class rule rules prohibit it. All yachts must have mobile phone, VHF and AIS systems. 1.4 The SWE SRS rule will apply for SRS 2019. Regulation 20. Advertising by GQSS is according to 20.4. 3.1 It is strongly recommended that the yacht have a life raft. SWE SRS measurement > 0,975. 3.3 Or have a valid ORCi measurement > GPH 670. The keel depth not more than 4.0 meter. If the keel depth is more contact the organizer. 2019, unless prescribed by the Measurement Committee and Jury’s approval. and see the start certificate. SEK until July 31, 2019. Bg 531-4935 or by Swish 1235884523 or contact GQSS to sort out payment. Race office. See the accompanying form ¨Start certificate¨. Göteborg (N57°6683´ E11°8476´), not later than August 9th at 12.00. (N57°6683´ E11°8476´) until start. You will have your mooringplace from Race office. Långedrag marina, Göteborg (N57°6683´ E11°8476). 12.00 All participating yachts should be berthed at (N57°6683´ E11°8476). member is on board the yacht. 17.00 Dinner (at own cost). Skippers briefing will be announced at Race office. Saturday 10: 19.30 ETA for the yachts of Långedrag (N57°6683´ E11°8476´). planned for Långedrag. More information at ¨Skippers briefing¨. 6.1 Only one set of sails in accordance with the SWE SRS and ORCi Regulations 2019 shall be used during the race. temporary mooring you will have at registration. tribune in Långedrag, when spot test measurement and inspection is done and approved. 8.1 The race will be held in the northern part of Kattegat and the eastern part of Skagerak. 9.1 SWE SRS, time-on-time, will be used. 9.2 ORCi scoring will be time-on-time. 9.3 There will be one list of results for SRS and one for ORCi. infringement of RRS, at their discretion. one tack and one gybe, is required. six boats in the SRS race, and a special prize for the ¨line honour¨ in the SRS race. First price in the ORCi class. 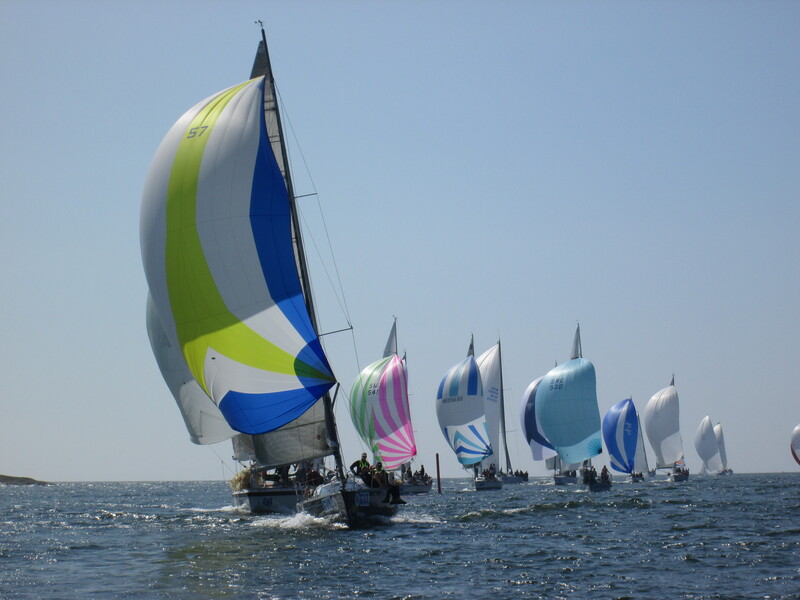 13.1 Each participating boat shall be insured with valid third party liability insurance. to be used in press information. 14.2 Photograping for private purposes is allowed.